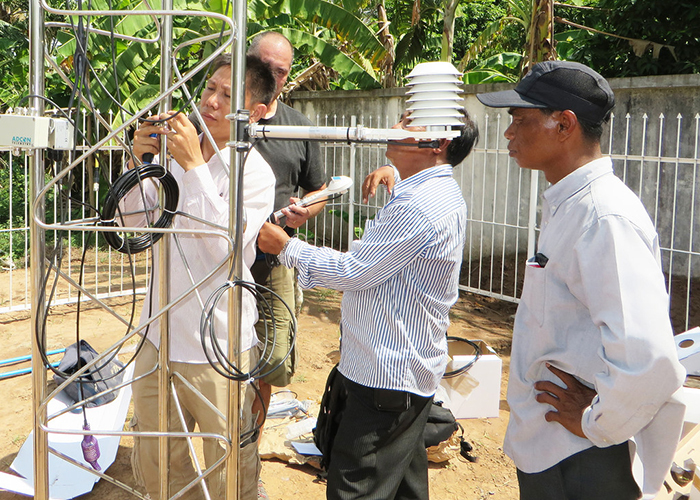 Phnom Penh, 22 March 2019 – In commemoration of World Meteorological Day 2019, the United Nations Development Programme (UNDP) in Cambodia has handed over 24 automatic weather stations and 29 automatic hydrological stations to the Ministry of Water Resources and Meteorology in Phnom Penh. The handover of the stations brings the Cambodian government one step closer to adapting to climate change, in line with Sustainable Development Goal 13: Take urgent action to combat climate change and its impacts. Reliable climate information and forecasting is important in any country but is particularly so in a country like Cambodia in which around 80 per cent of the population live in rural areas, with many reliant on weather-dependent livelihoods in agriculture and fisheries. 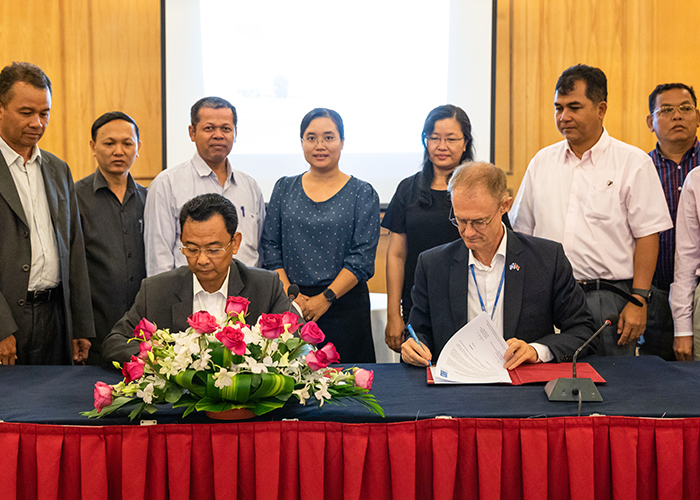 With the financial backing of GEF-Least Developed Countries Fund, the project 'Strengthening Climate Information and Early Warning Systems in Cambodia to Support Climate Resilient Development and Adaptation to Climate Change' has been supporting the Royal Government of Cambodia since 2015 to address the gaps and challenges, boosting climate information and early warning systems. By working alongside various line departments including the Ministry of Water Resources and Meteorology; Ministry of Agriculture, Forestry and Fisheries; and the National Committee for Disaster Management, the project has sought to address current barriers through three complementary outcomes: (1) installing automatic weather stations and automatic hydrological stations for climate data and information, as well as developing / proposing hydro-meteorological platform for climate modelling, (2) increased institutional capacity to assimilate and forecast weather, hydrological and climate information, and (3) dissemination of climate information for national, sub-national as well as sectoral planning. 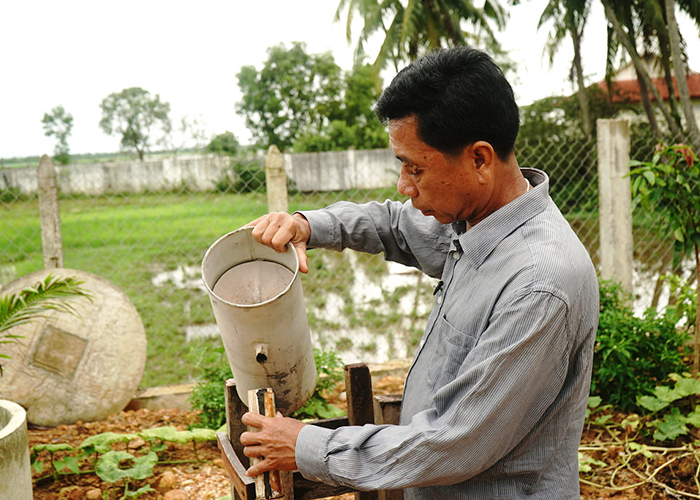 Over the past year, the project has installed 24 automatic weather stations and 29 automatic hydrological stations (including 24 stations for surface water and five for groundwater), concentrated in the disaster-prone south-eastern provinces of Kohn Kong, Kampong Speu, Takeo, Kep, Sihanouk Ville and Kampot. 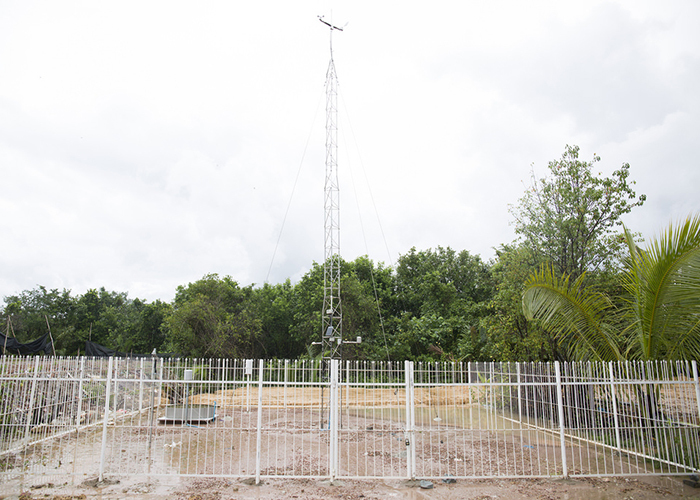 Three weather stations and a hydrological station have also been installed in Kandal, two hydrological stations in the capital Phnom Penh and weather stations in Preah Vihear and Kampong Cham. Today, the stations are being handed over to the government. Amongst other parameters, each weather station uses various sensors for monitoring air temperature, relative humidity, dew point, wind speed and direction, rain levels and water levels and temperature. This information is then fed back automatically to the Department of Meteorology’s website, www.cambodiameteo.com. For many years prior to the project, such information had often been collected and reported manually by locals, resulting in tedious daily processes and delays. With the weather stations successfully transmitting real-time data since their installation, the project has allowed for a smooth flow of information within and between national and provincial government levels. As a result, early warning information-sharing mechanisms have been developed consistent with the National Committee for Disaster Management’s Law on Disaster Management, reducing the risk of losses and damages if and when disaster strikes. UNDP will continue working alongside the Department of Meteorology to advance meteorological and hydrological observation and analysis, including the development of a customised seasonal climate forecast system. 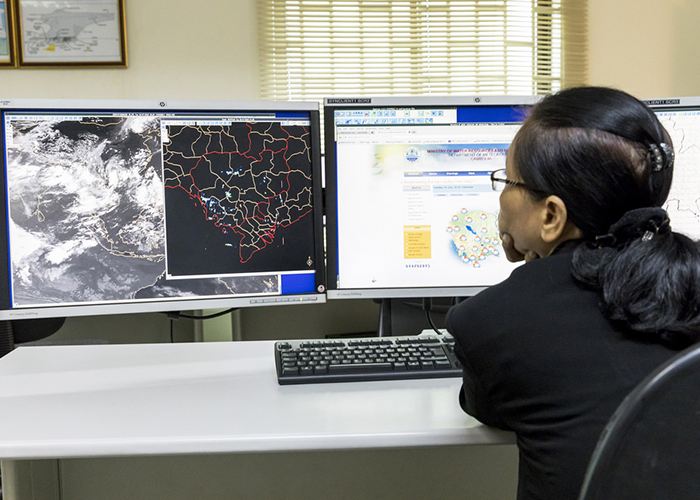 With financing from the GEF-Least Developed Countries Fund, the UNDP-supported project ‘Strengthening Climate Information and Early Warning Systems in Cambodia’ aims to increase Cambodia’s institutional capacity to assimilate and forecast weather, hydrological, and climate information for adaptation, disaster preparedness, and early warning.